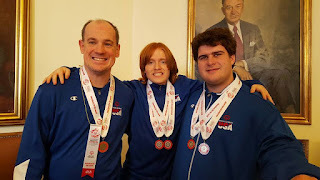 Team USA Speed Skaters with their medals. Tim (Area M), Rory (North Carolina) and Dan (Area M). 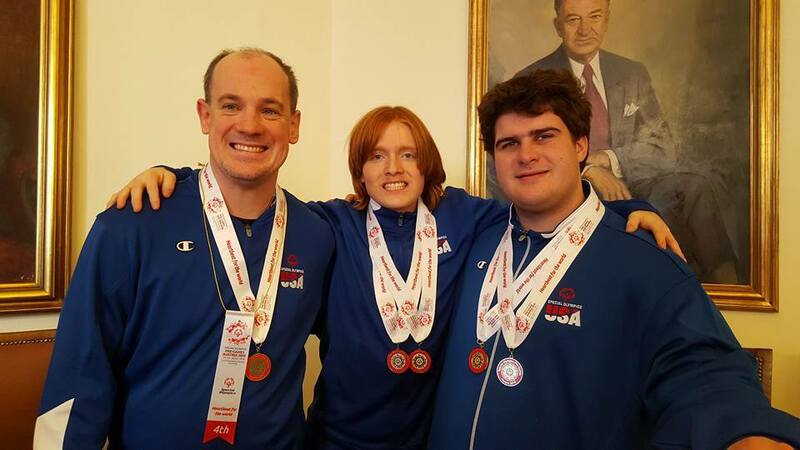 Two speed skating athletes, Tim McConnell and Dan Weatherwalk, and Coach Amanda Kateluzos from Special Olympics PA’s Area M program participated in the Special Olympics 2017 World Winter Pre-Games in Austria from January 10 – 15, 2016. The Pre-Games served as an opportunity for athletes to come and test, feel out World Winter Games events, and be exposed to what the Winter Games (including the Host Town) will offer for the actual World Winter Games! Team USA with their medals. Sporting competitions in figure and speed skating, stock sports, floorball, alpine skiing and snowboarding, motor activity training, and nordic skiing and snowshoeing were offered. The competitions were held in Graz, Schladming and Ramsau for more than 1,000 athletes and 500 trainers from 21 participating nations. 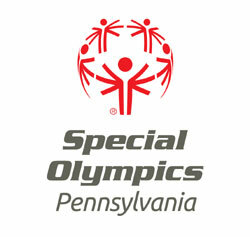 The Games also included Opening, Award, and Closing ceremonies, as well as Healthy Athletes programs. 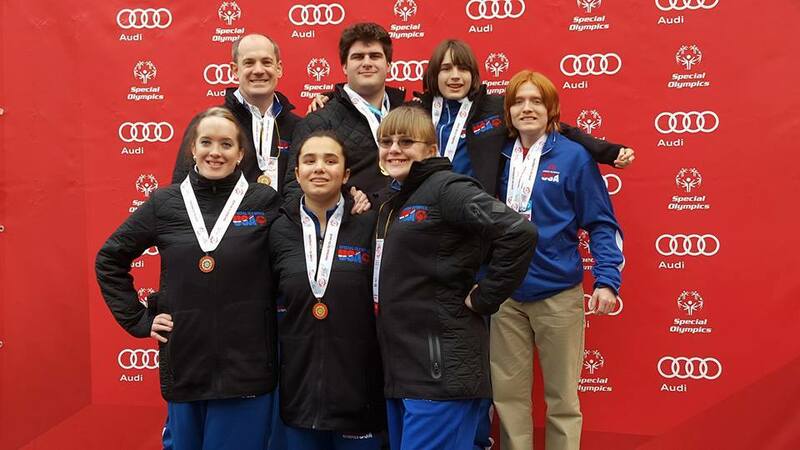 The Special Olympics World Winter Games will take place in Austria from March 14 – 25 in 2017. Visit www.austria2017.org. Special Olympics Pennsylvania – Warren County collected non-perishable food items from athletes and volunteers during their annual Christmas party held on December 6th. The athletes decided to donate the items collected to the food pantry at the First Church of the Nazarene. This food pantry provides approximately 5,000 lbs. of food to more than 150 families per month. 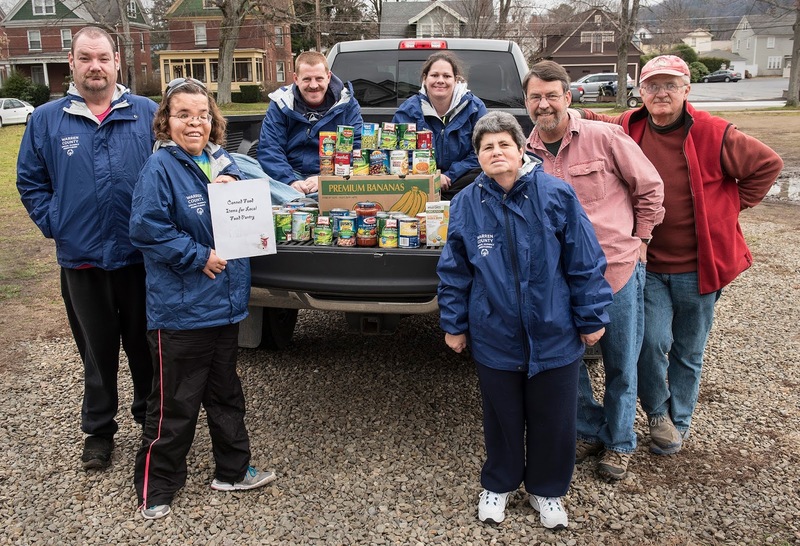 The food pantry is able to support these families through local donations of food and money. 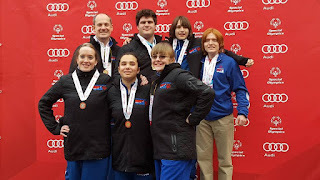 Shown in the photo from Special Olympics are Norm Kightlinger, Kayla Smith, Mike Gray, Nicole Huya and Cindy Zaffino. Also pictured from the First Church of the Nazarene food pantry are David Snyder and Jim Swanson.